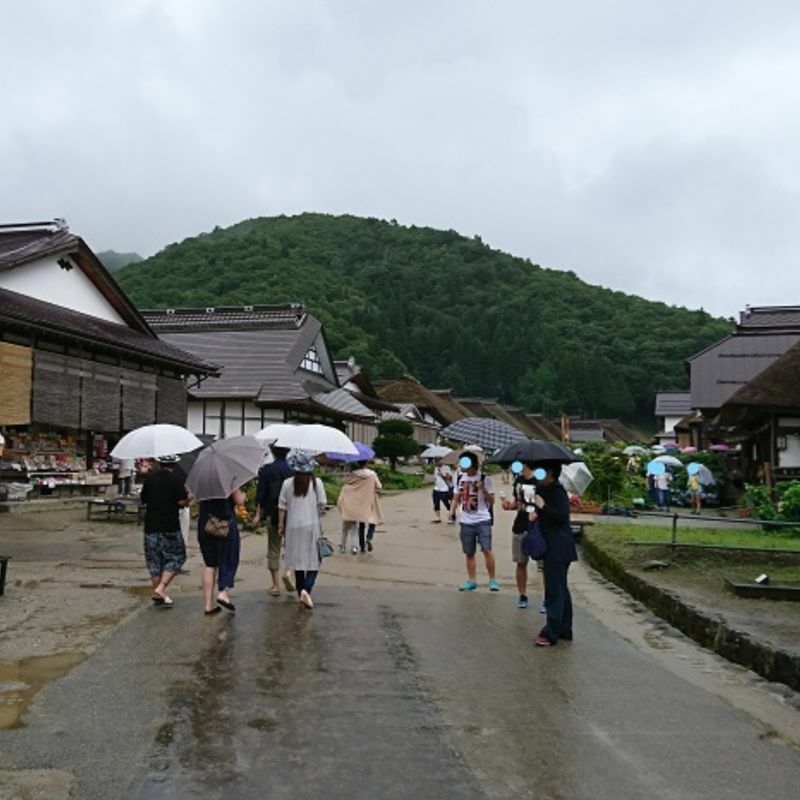 In a scenic part of the Fukushima countryside sits the little tourist area known as Ouchijuku. 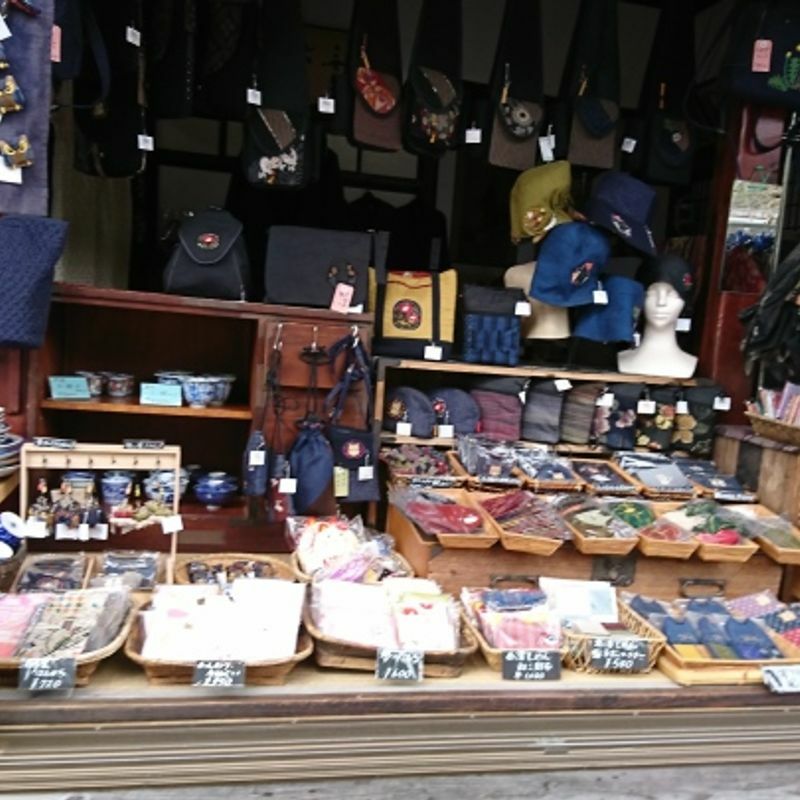 The houses are real and historic, though in the places that may once have held samurai or ninjas or ancient shopkeepers and tailors you will instead find a small selection of souvenir and soba shops. Admission to the village is free, as is wandering the nearby countryside for some nice photographs. Our visit came on a rainy day in the middle of summer vacation, and there was a bit of a crowd. 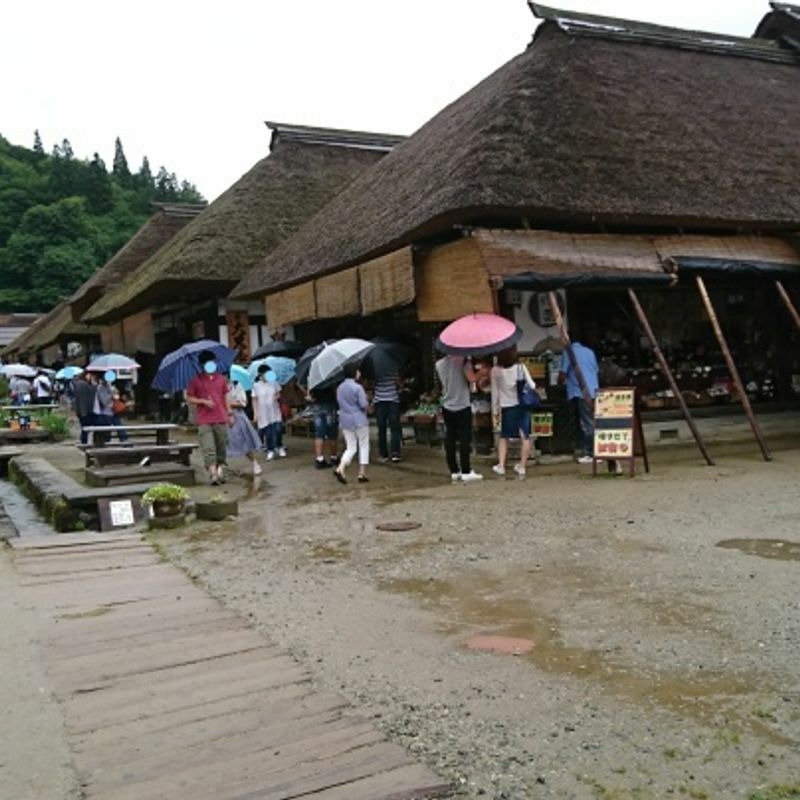 Even in the rain, the little historic buildings are something to see, though I will also admit that this is not my favorite folk village in Japan as Hida folk village in Takayama, Gifu, feels a lot more like stepping back in time to me, despite the lack of shops. 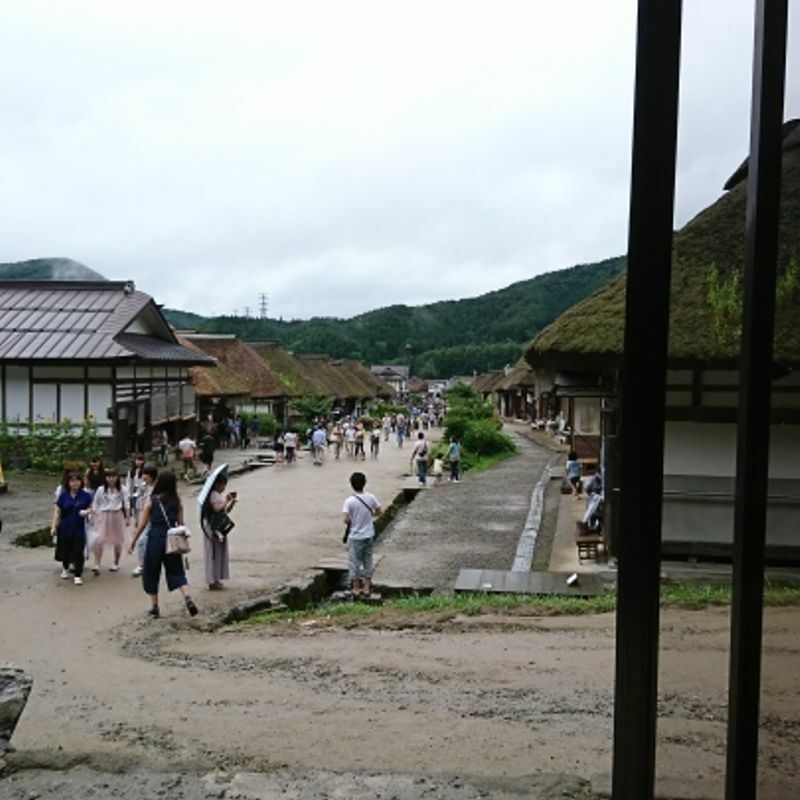 That conclusion may also have something to do with the lesser tourist population upon my visit to Takayama, though. A few shops sell specific, unique goods, such as the cloth shop, toward the front of the village, which is the only place in this village where you can get many of the cloth products from the area. The jam shop, which is somewhere in the middle, specializes in vegetable jams and wooden toys as well as pre-packaged ramen. The ceramics shop sold Somewhat reasonably priced handcrafted cups and the like. 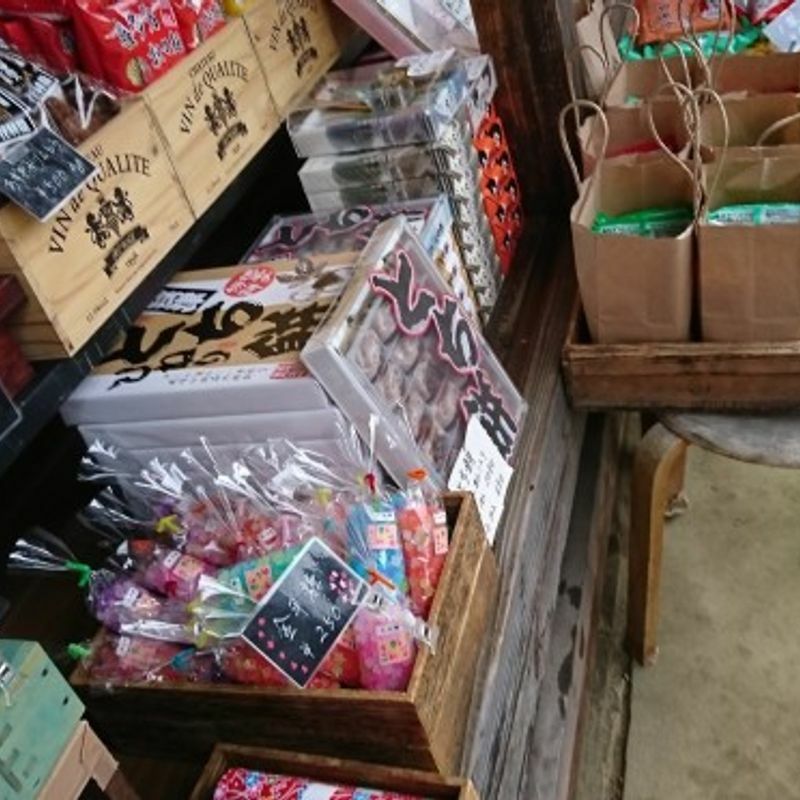 Most of the rest of the shops I saw sold a less specific shared selection, including Fukushima-specific souvenir set boxes of sweets and Fukushima mascot goods. 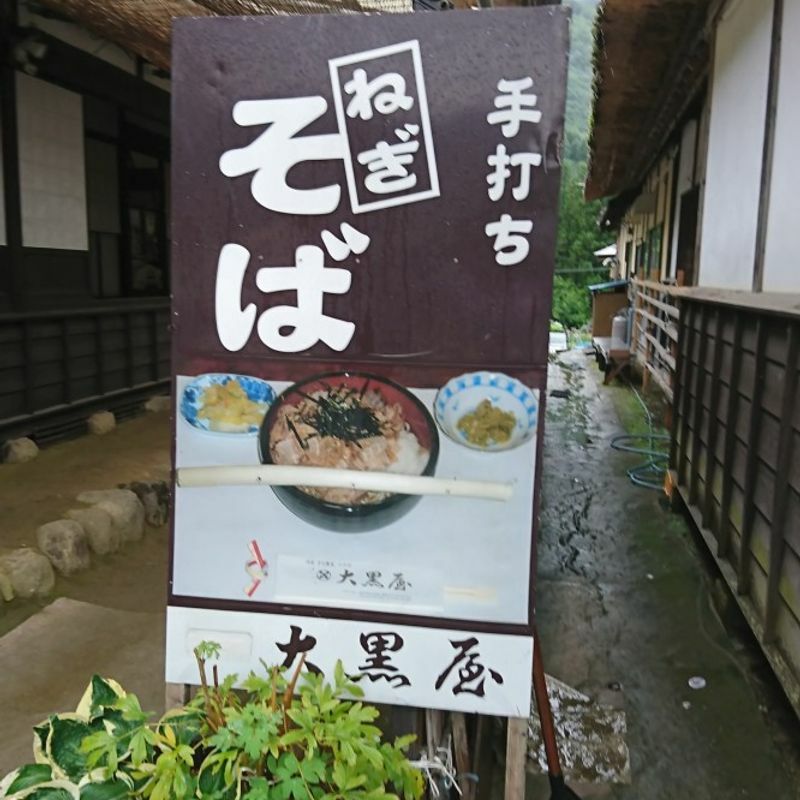 The first soba shop we came to had signs out to advertise Negi Soba, that is, soba eaten with the stalk of a raw spring onion. Apparently that specific shop had recently been on a television program for this contribution, and the resulting fame meant an hour-long wait time around our lunch-time visit. 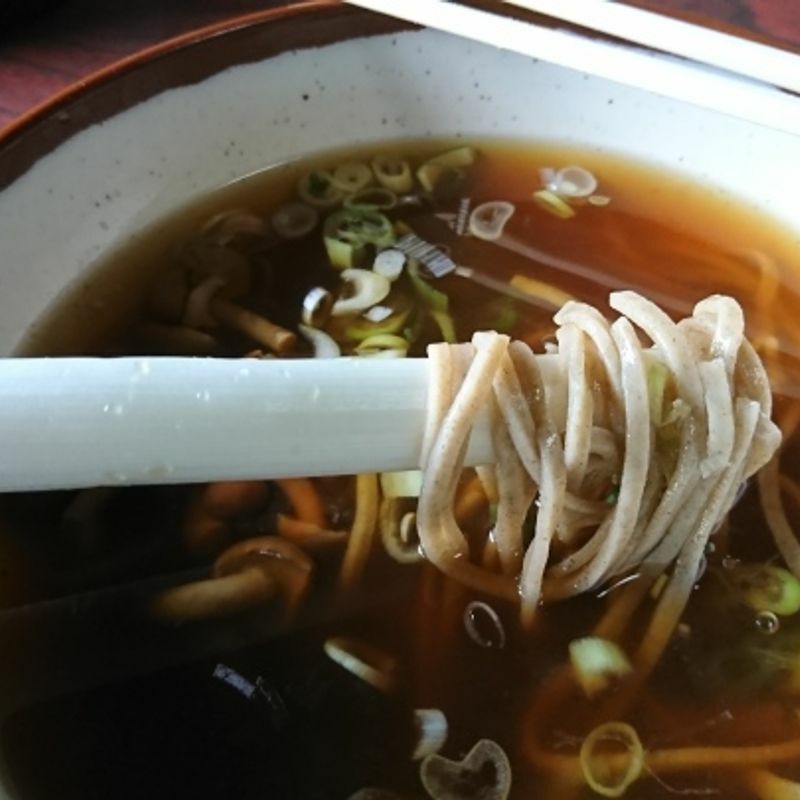 As it turns out, there are many soba shops in the little village and every soba shop we saw also sold that same area-specifc onion-related dish. We wound up enjoying it at the last restaurant on the row, overlooking the whole of the village. 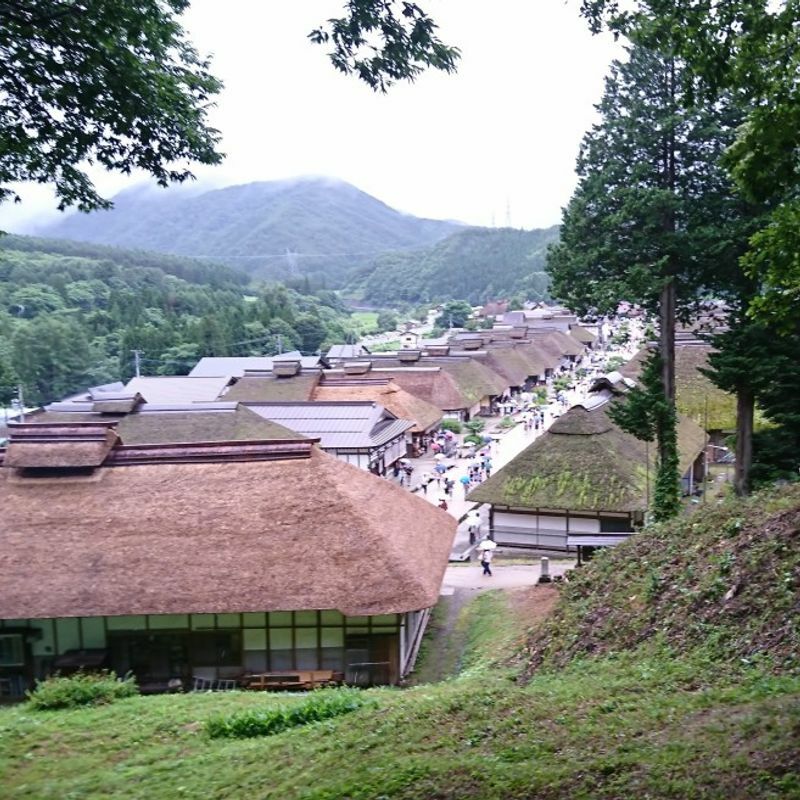 To my surprise, many of the thatched roofs were green and sprouting with life. I don't know that I've seen that in any of the other little old Japanese houses I have had the pleasure of visiting. When our meal came, I was surprised to find that the addition of the onion stalk wasn't as weird as I had first thought. There are also chopsticks provided at the shop, so the use of the onion is not mandatory, though it shouldn't be shied away from either. The added flavor from the spring onion is far milder than I had assumed it would be and I genuinely enjoyed eating this meal. After lunch, we decided to explore the area. We found a steep staircase upward to the green mountainside just beyond the village but elected to take a different, more gentle path upwards, so if you're here and steep stairs are not your thing, look around. 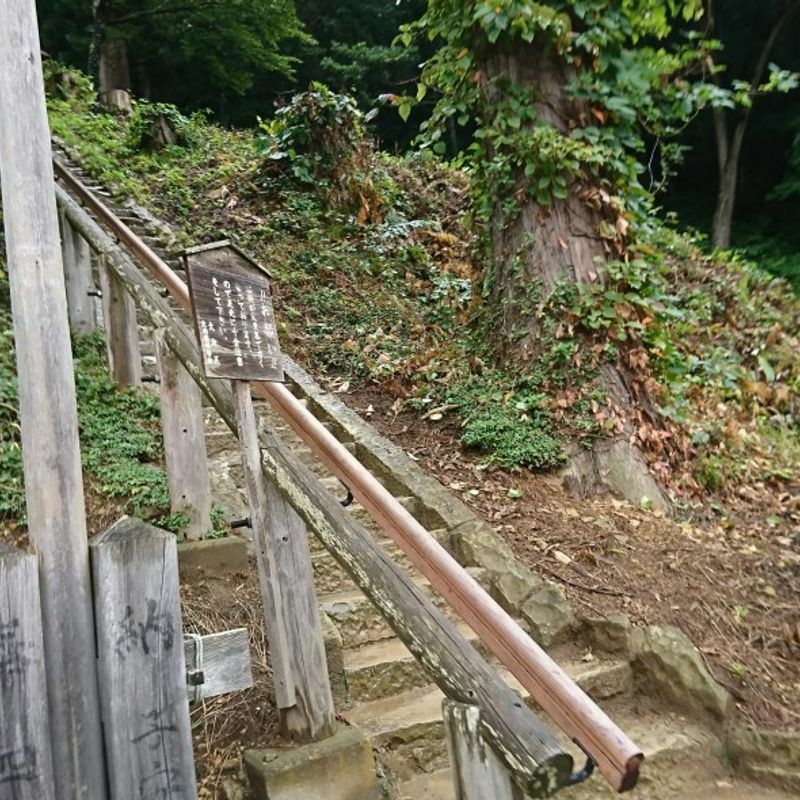 There is a second way up, and you should definitely go as the view from the mountainside is definitely the best view of Ouchijuku. 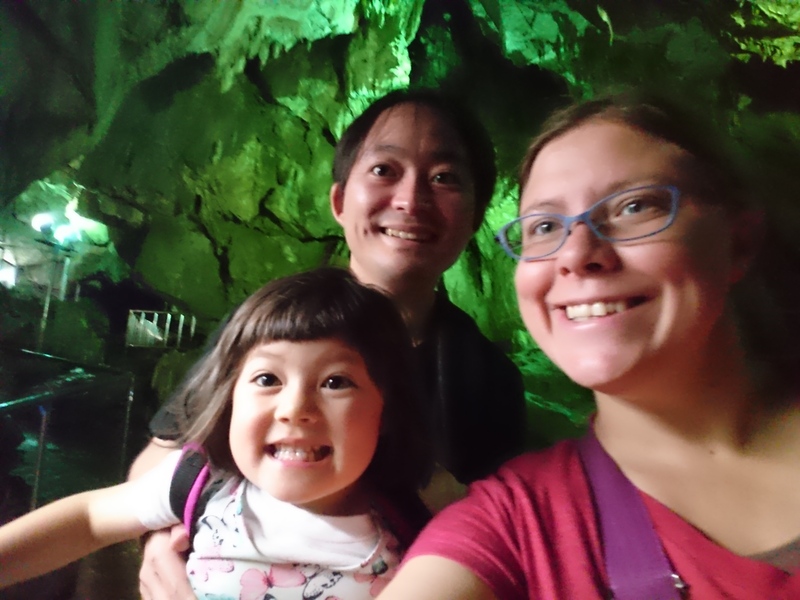 For more information on this slightly remote but interesting tourist site, visit the website provided by Japan's National tourist Organization.